Dimensions 1 by 8.75 by 2.50 in. 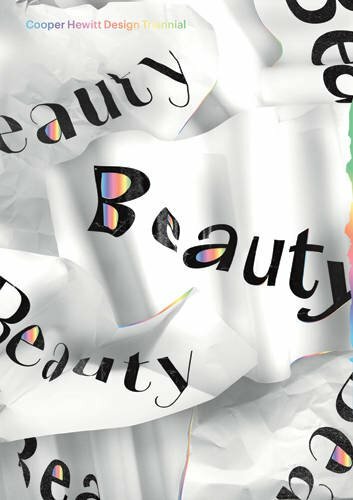 Amazon.com description: Product Description: Beauty--the book, born out of Cooper Hewitt, Smithsonian Design Museum's 2015 Triennial of the same name, curated by Andrea Lipps and Ellen Lupton--showcases some of the most exciting and provocative design created around the globe during the past three years. These pages aim not to emphasize the hidden beauty in the everyday--a beloved teapot or favorite shoe--but to locate transformational beauty in contemporary design that is exuberant, ethereal, atmospheric, experiential, exceptional or sublime. Sixty-two designers represent a vast range of disciplines from architecture, fashion, digital, graphic, and product design, to interiors, hair, nail and lighting design. The objects featured cause us to take pause, catch our breath and get lost in our pursuit to understand or explain them.